It is a well know axiom that 70 – 95% of total product cost is the result of design decisions. 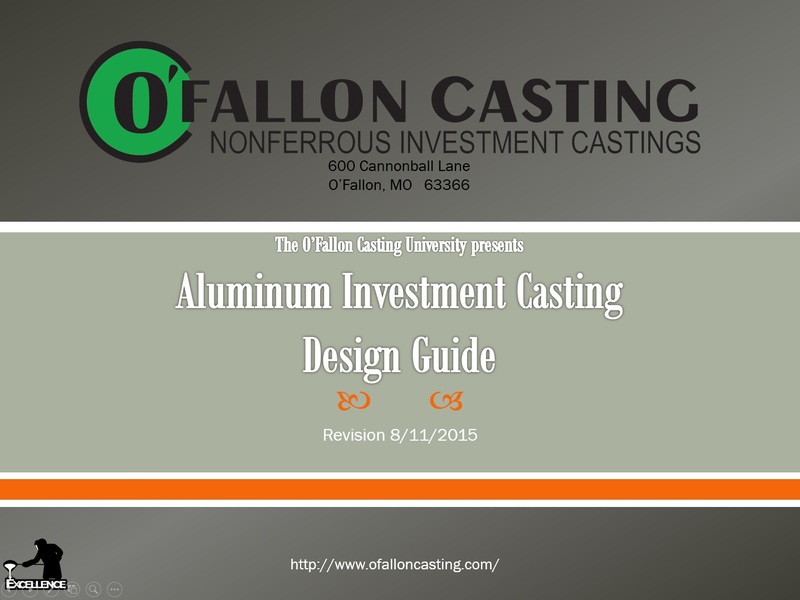 To enhance our mutual success and to underscore its commitment to its customers, O'Fallon Casting has founded "The O'Fallon Casting University". Castings present a cost effective solution for the manufacture of complex shapes that reduce part count and improve the affordability, manufacturability and reliability of an engineered product. However, successful casting design does require a specialized expertise. Good casting design translates into both direct savings from lower manufacturing cost and reduced part count and also from indirect savings from higher levels of quality, more reliable deliveries and lower administrative costs.